Follow me to the backcountry of South America and the AMAZON rain forest for an amazing adventure! 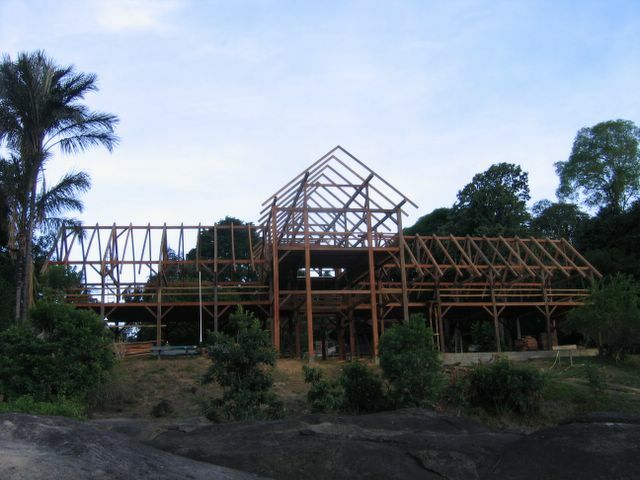 Watch the story unfold as a team of professional Timber Frame carpenters raise a very special building in the Central Suriname Reserve. My love for carpentry has taken me to many wild places. Now I'm off to the Jungle! Our house for a while...who needs walls, anyway. Here he is--500 volts of fun.